This was a neat project. We were asked to come up with a way to simulate dice combat without dice. 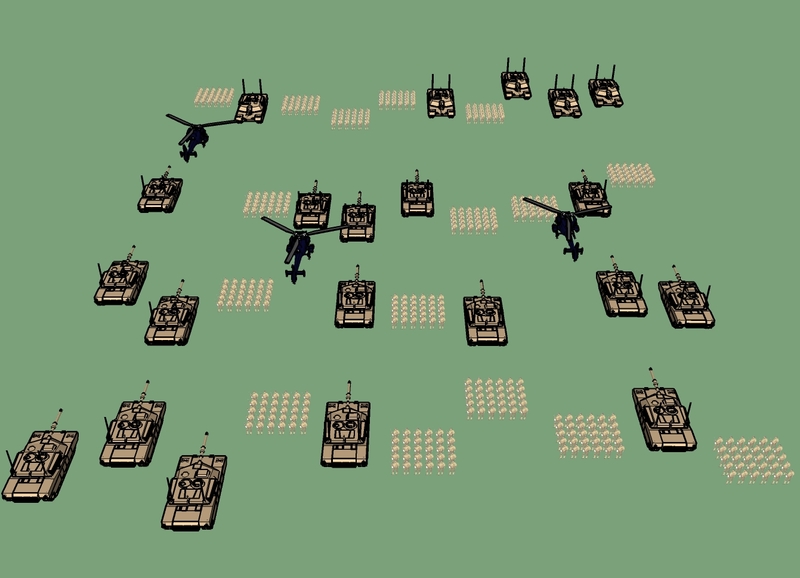 I wanted something that simulated something like Advance Wars but with a bit of player control. 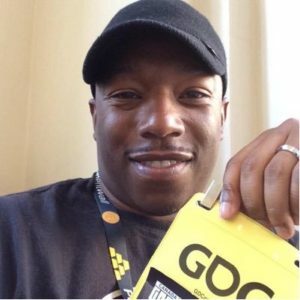 I came up with a system that would allow roshambo to simulate dice rolls. Attack strategies had specific strengths and counters. The selection of the strategies was like old Tecmo Bowl. Accessible and fast. Below is an excerpt from some preliminary documentation. Player selects a controlled region and then selects an enemy region to attack. We zoom into the battlefield. Players are presented with three strategies. 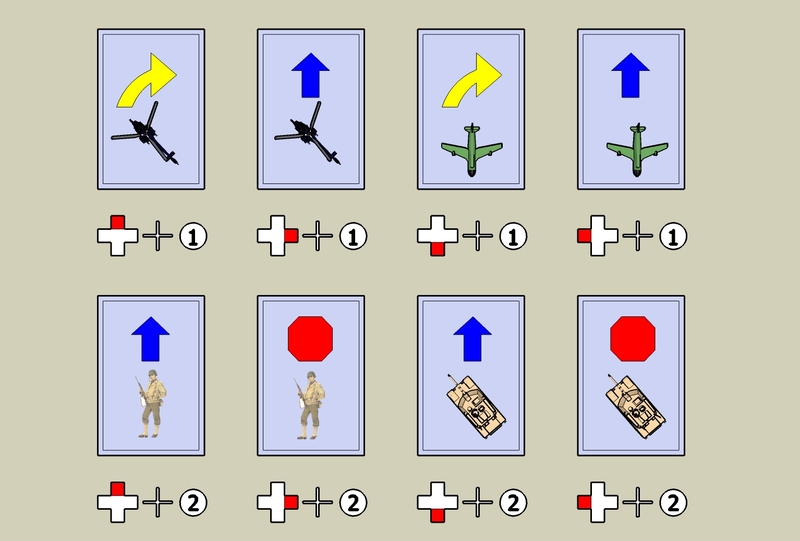 Each strategy represents a strategic attack movement for the player’s forces. The strategies have a rock-paper-scissors relationship. Frontal assaults will always break someone in a Defensive posture. 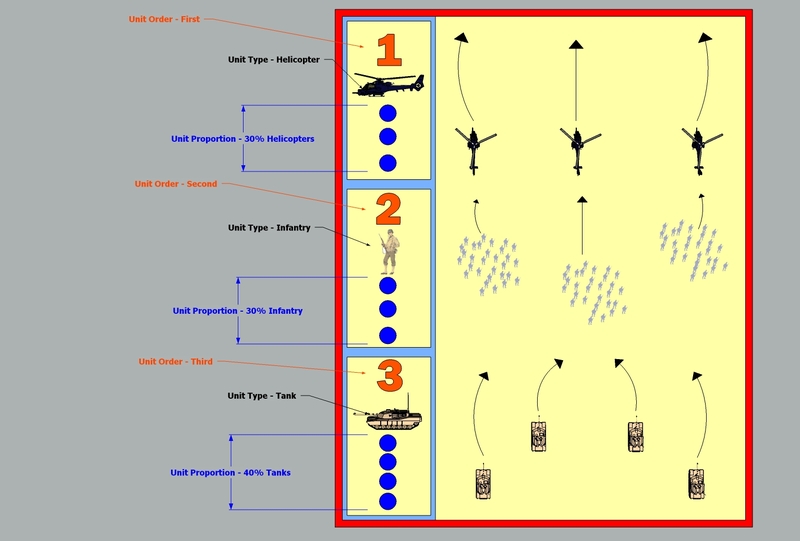 However a Frontal assault can be beaten by a Flank strategy. While one who selects a Defensive posture can best a Flank strategy. 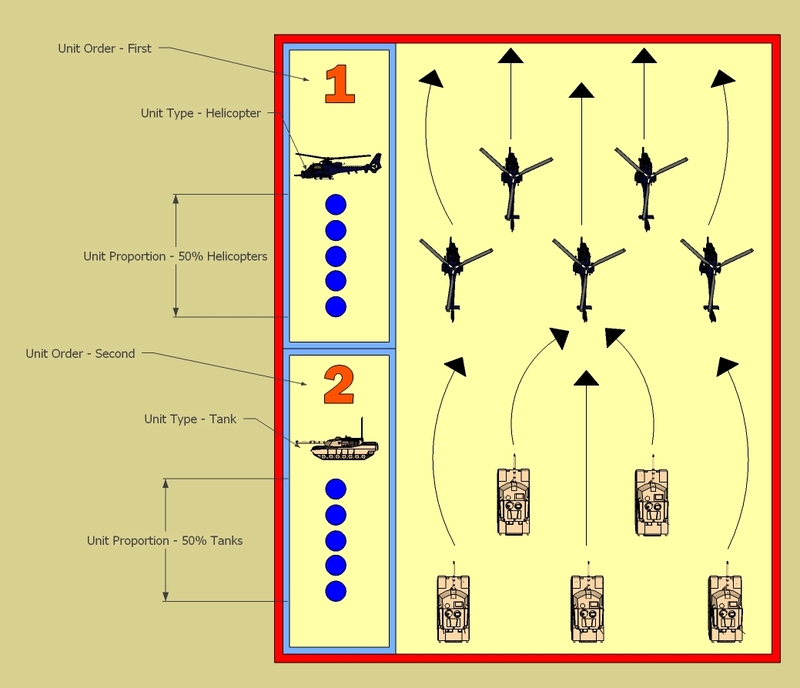 Each player selects one strategy, and the troops begin to follow the orders they were issued. 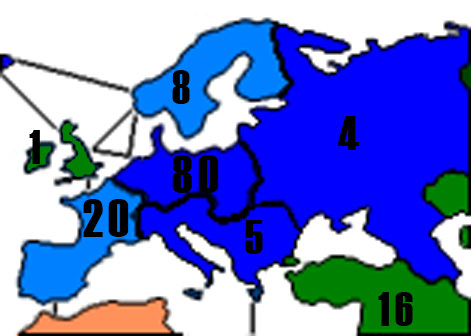 When a player’s strategy is better than the other in the RPS relationship, the combat numbers result highly in the player’s favor. In the case the same strategy is selected, combat is usually resolved with a 50/50 result.